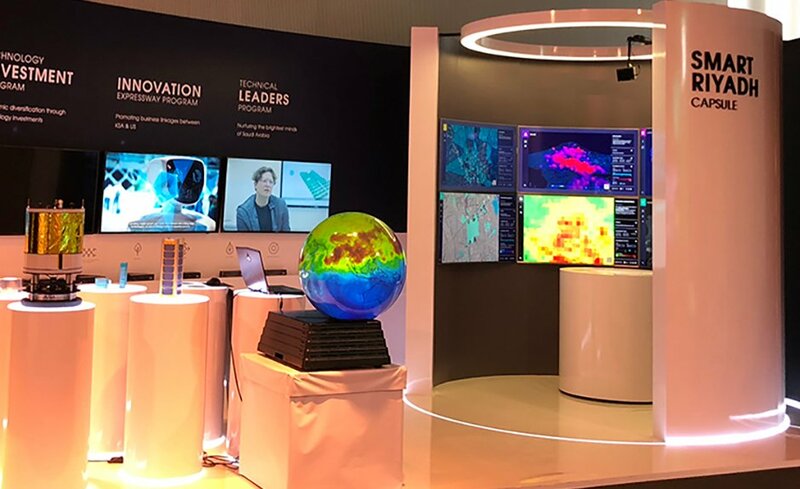 A GeoDome Globe captured the attention of visiting Saudi Crown Prince Mohammed bin Salman, as part of an exhibit showcasing innovative US and Saudi collaborations in STEM education, advanced research, and entrepreneurship. The crown prince was visiting the Innovation to Impact Forum at MIT on March 24, where he was briefed on the industrial innovations of Saudi universities and companies, and oversaw the signing of several agreements for cooperation between Saudi and US universities. Check out coverage in the Boston Globe, Al Hayat, and the Arab News.